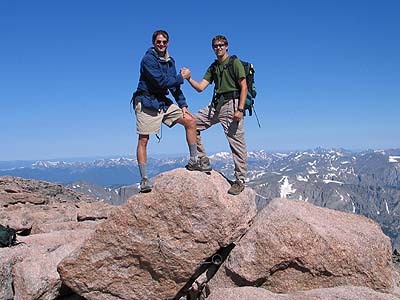 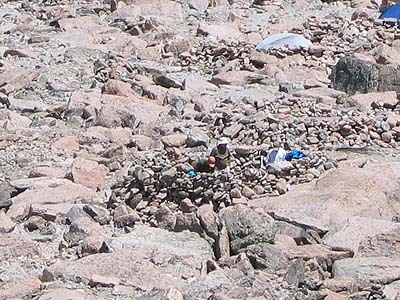 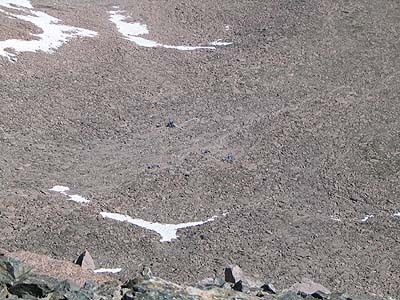 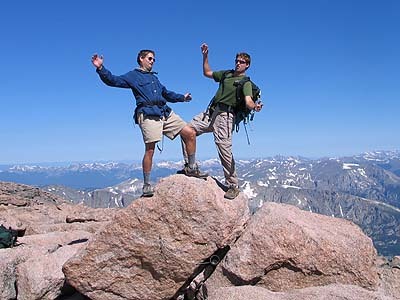 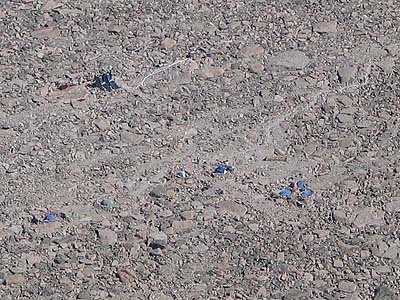 After about 2 miles and 1,500 vertical feet via the Longs Peak Keyhole Route you arrive at the 14,255' Summit. 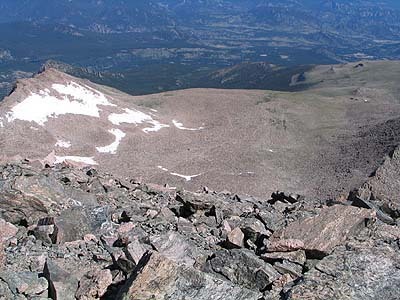 As imagined, the views are pretty darn nice and I shot a 360° Panorama of Longs Peak from the top along with a few pictures of some Marmots. 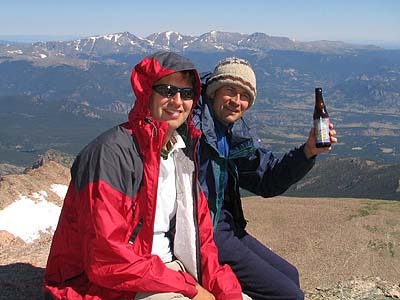 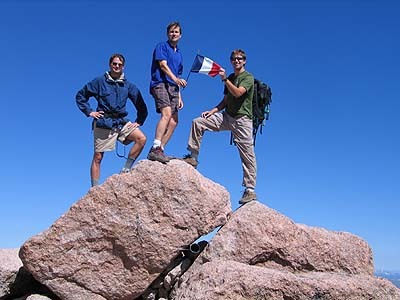 Kris, Alek, and Myke with Mom's "victory flag"
A not-so-cold Longs Peak Beer!